This looks like it would be a funny show, and a great chance for date night! 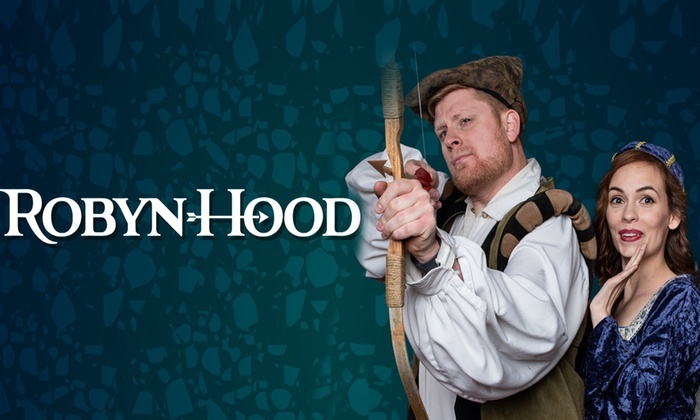 Robyn Hood at Off Broadway Theatre in Salt Lake City: Set of 2 Reserved Tickets for $20 (reg $34) *Use code SAVE through tomorrow February 20 to get 20% off! That brings the price down to $16, only $8 per ticket! The code can be used up to 3 times per account and will be applied to 1 unit per transaction. Promotional value expires Feb 24, 2019. Refundable only on day of purchase. Limit 8/person. Redeem on day of show for a ticket at the venue box office. Must redeem together to sit together. Merchant is issuer of tickets – discount reflects current ticket prices, which may change. ADA seating cannot be guaranteed; contact box office prior to purchase for availability. Ticket value includes all fees. Merchant is solely responsible to purchasers for the care and quality of the advertised goods and services.